The book is riddled with these kinds of concerns, opening with Miles leaving his seat at an awful dinner party and heading upstairs where he will trap himself in a spare room for months, wilfully cutting himself off from civilisation, like the hordes of addicted internet-users in their airless chambers. Eventually, rather than getting a locksmith on the case, panicked hostess Genevieve contacts the press to try and solve this existential puzzle. Meanwhile, each of the four lengthy chapters (entitled ‘There’, ‘but’, ‘for’ and ‘the’) looks at a different individual who has some connection with Miles (eventually, inevitably, he is dubbed ‘Milo’ by the gossip hacks). For critics, readers and bookish judges, Smith’s literary exploits have continued to move forward at a frighteningly impressive pace. Her 1995 debut was the Saltire-winning short story collection Free Love with her full-length debut, Like, arriving two years later. Since then, acclaim has been more or less universal for her theatre work (The Seer), non-fiction (The Book Lover) and novels (including Whitbread winner The Accidental). 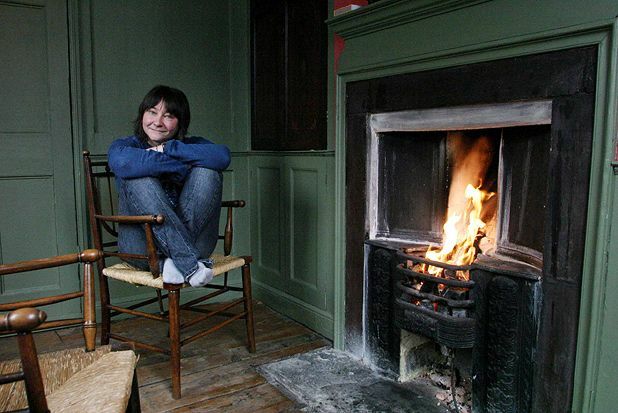 Ali Smith, 14 Aug, 11.30am, £10 (£8). there was no more talking out loud now, and there wouldn’t be neither, not for any money, not for anybody. May Young was old. You’ll always be ‘young’ now you’ve married me, Philip had whispered in her ear at the altar, June 7, 1947. But she was no fool, she knew exactly how old she was. She knew it was January. She knew it was Thursday. She knew very well who the prime minister was, thank you very much. She knew plenty, no thanks to them. And here she was, in a bed that wasn’t hers, now don’t go getting ideas, she didn’t mean anything funny by it, ha ha. She looked down and saw the thing, plastic bangle-shape thing round her wrist. 13.12.25. No date for the other yet. So there we are, chum. Proof. Still here. in. Finding yourself in pink when you wouldn’t be seen dead in pink. Finding yourself in a colour you’d never’ve said yes to in a million. Not even if you’d been in the dark. Old age doesn’t come its lone: old saying of her long-gone mother up with the angels since October ‘64. Well, no, mother, old age didn’t come its lone, for look at this, it brought a whole other person with it, a stranger whose wrists were old, who wore pink when you’d never have chosen pink and anyone who knew the first thing about you would never have put you in pink. Well, but it was sore enough, that wrist on the bed, to be her own wrist, no stranger’s wrist after all, there where the plastic bit into it. That’s how you knew it was you and nobody else, then, was it, when things were sore? She lifted a hand. Or, an old hand that looked like it belonged to some other body, an old body, lifted, and it nearly did what she asked of it, it wavered, it took its time about it, it felt its way, missed its target, came at it anew, if at first you don’t succeed, and in the end it got one of its raw old red fingers in between the plastic that had her date on it and the skin under it and look! look at that! it was so tight! there was hardly room for a finger between this here and that there. So it was no wonder it hurt like it did. She did not say any of this out loud. She said it within the confines of her head.